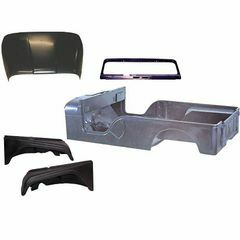 Save an Extra 5% on Steel Body Kits & Steel Body Tubs when you pay with a Money Order or Bank Cashiers Check. 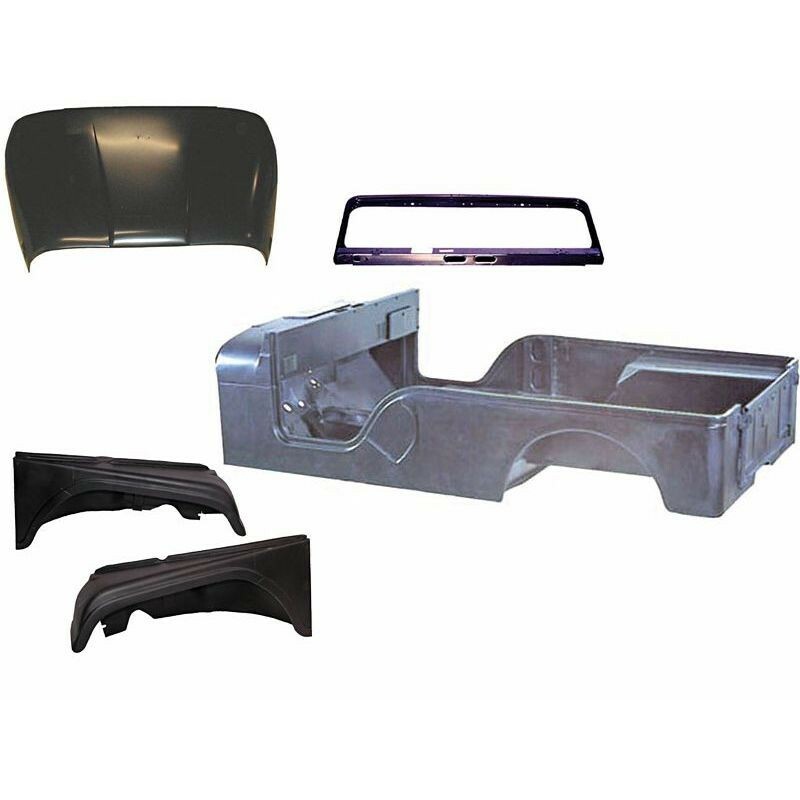 This reproduction steel body kit restores 1955-68 Jeep CJ6. Includes the body tub, fenders, hood, windshield frame, and tailgate. Body tubs and body kits will be shipped freight free to the lower 48 states. Body Tubs are completely assembled, and primed. Ready to be shipped to your door. 16 gauge steel used on body tubs for all side and tail panels. In most cases it is thicker than original! 18 Gauge steel used on body tubs in the front and rear flooring, all mounting brackets, top cowl assembly, and wheel housings. Manufactured using a seven-step metal preparation process, including: A 5 bath dip to totally eliminate rust, dirt and grease. A phosphate and acid rinse step to ensure corrosion resistance and proper adhesion of the primer. New primer formula and application method that is designed for a smooth and even finish. Includes all major factory mounting locations, including channels for body mounting. Dashes and shifter tunnels left blank in some applications with varied OE locations.